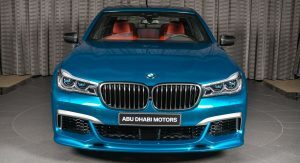 BMW Individual have come up with yet another stunning machine: a customized M760Li that’s on display in Abu Dhabi. 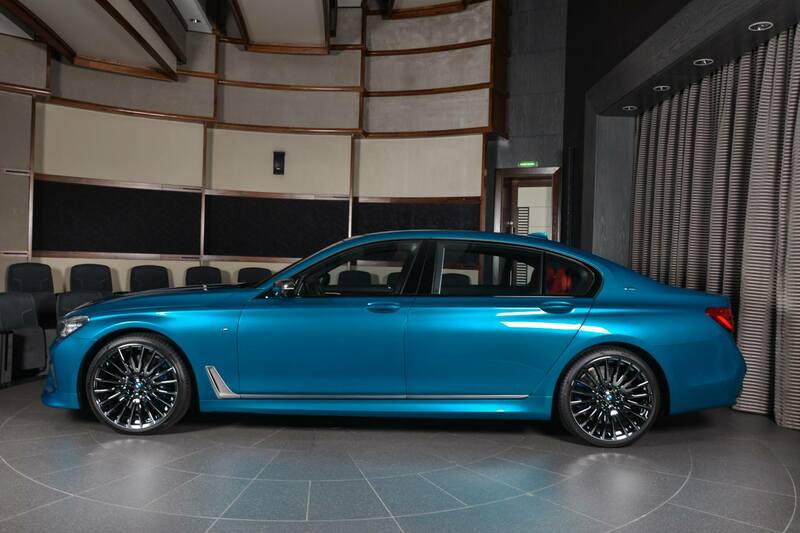 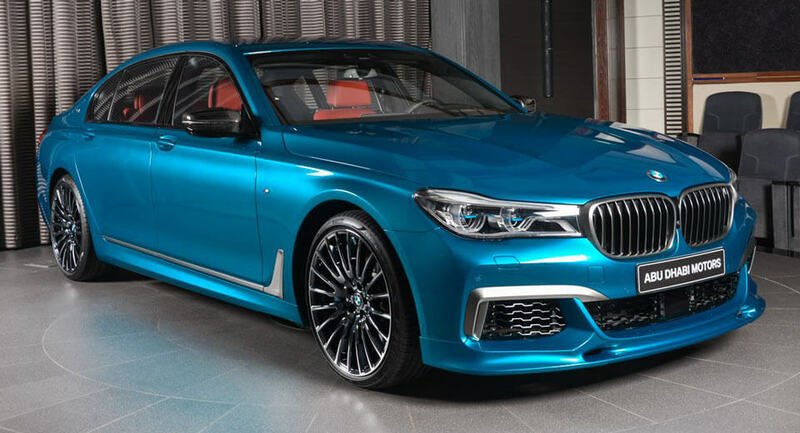 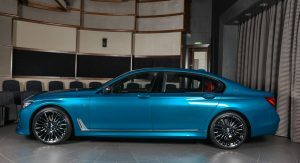 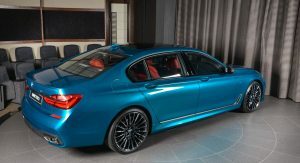 Likely made especially for a local customers, the flagship saloon has a very special exterior color, called Long Beach Blue. 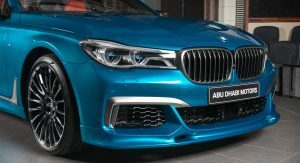 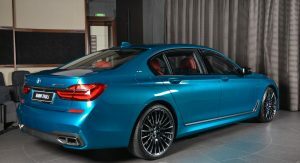 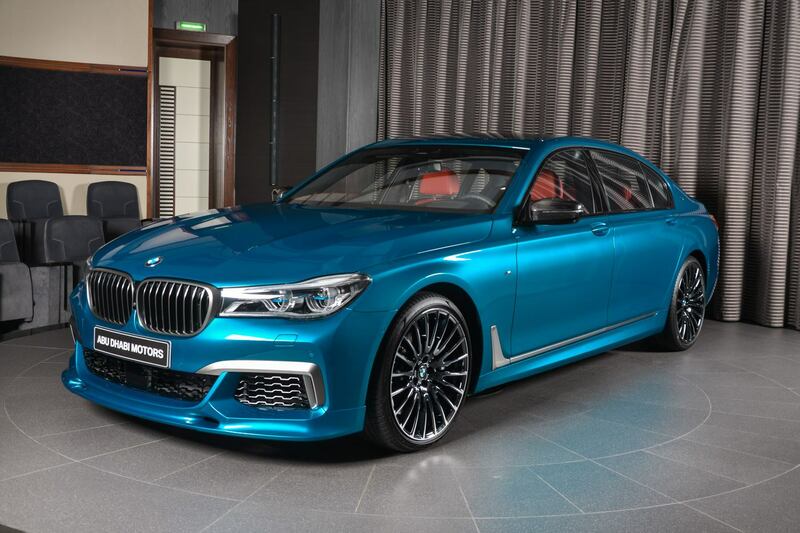 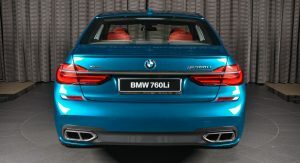 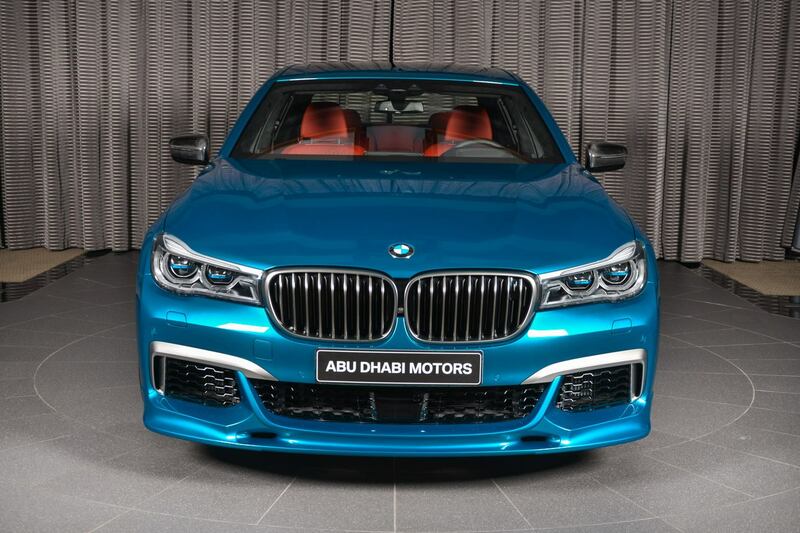 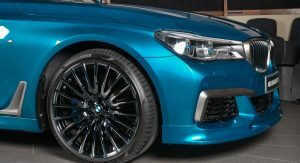 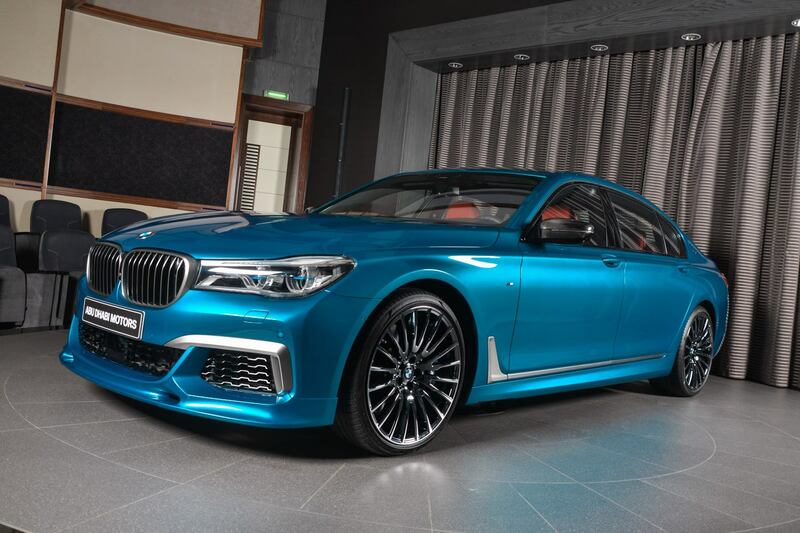 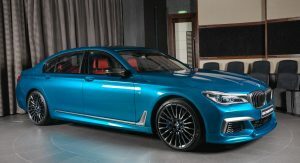 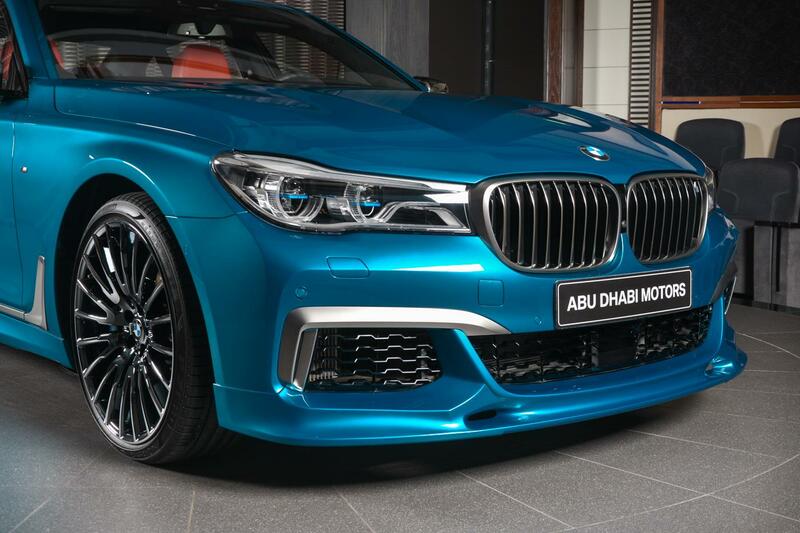 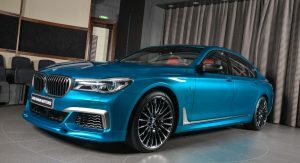 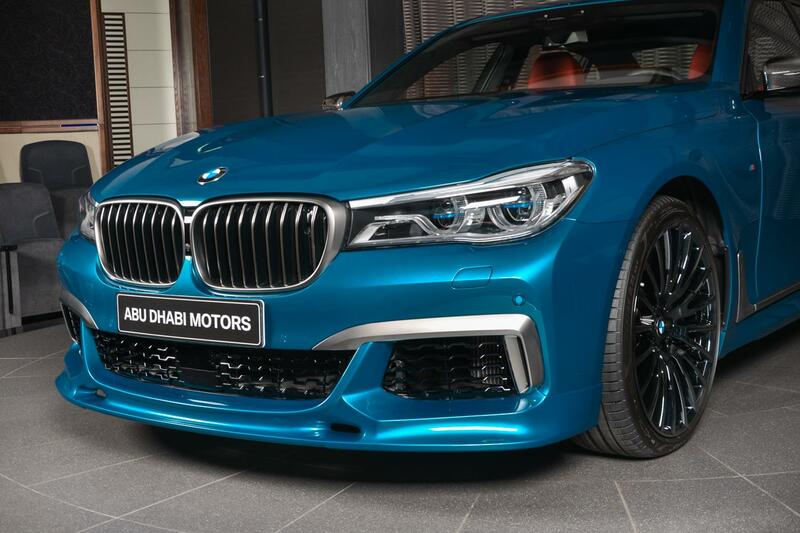 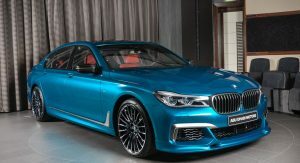 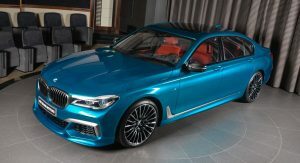 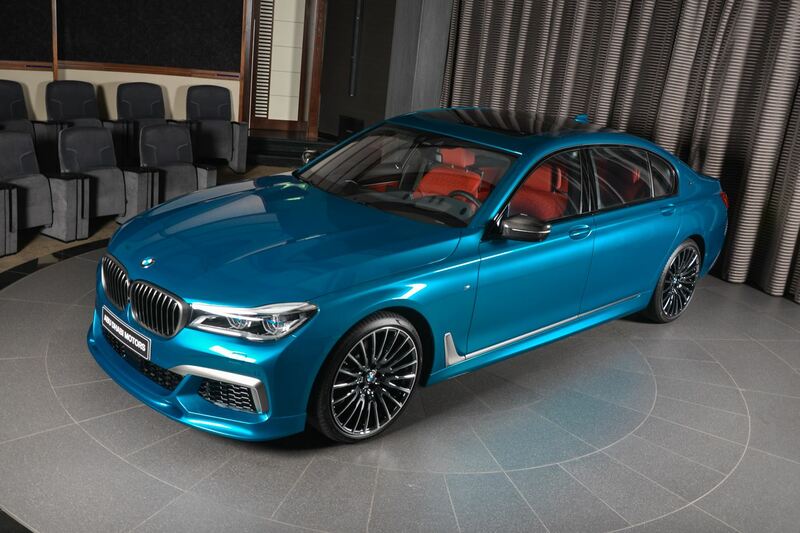 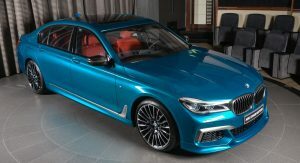 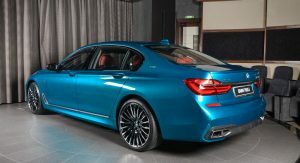 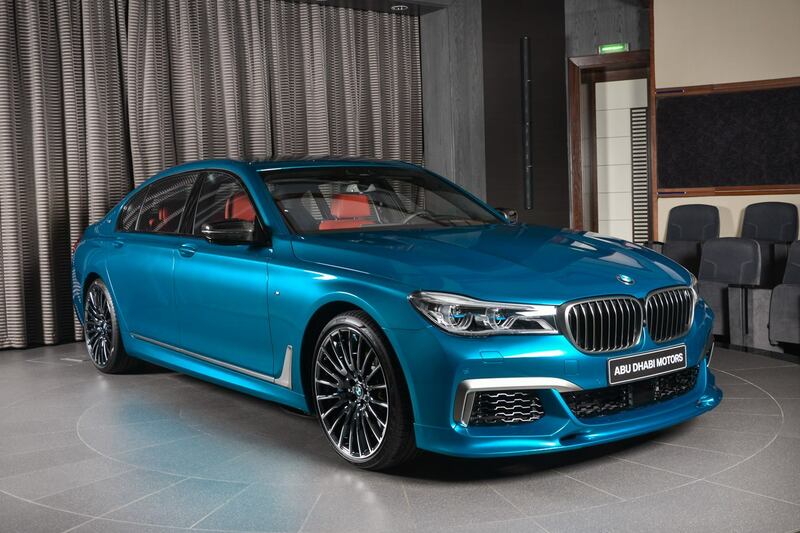 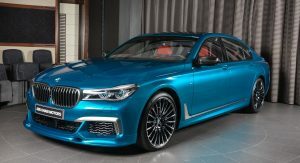 Furthermore, this range-topping 7-Series also benefits from what BMW Abu Dhabi calls a “3D design body kit”, which combines the Alpina-like front apron and rear spoiler with carbon fiber mirror caps and 21-inch multi-spoke wheels finished in Liquid Black. 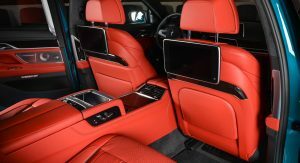 Red leather dominates most of the interior, including the front and rear seats, lower part of the dashboard, central console and doors, and is joined by black leather, wood trim and metallic accents. 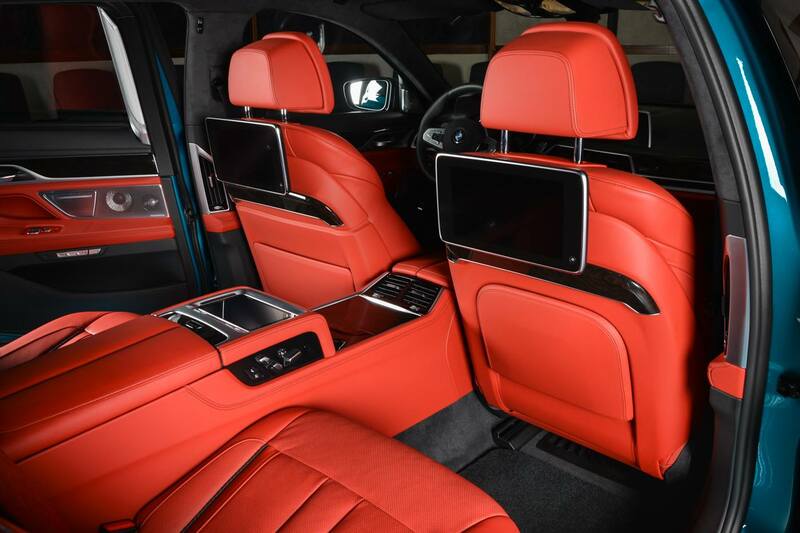 Two rear individual seats assure the passengers of this stunning M760Li of the required comfort, alongside the rear entertainment system with two displays mounted on the back of the front seats. 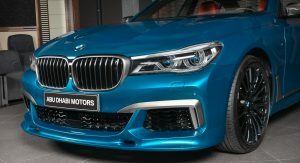 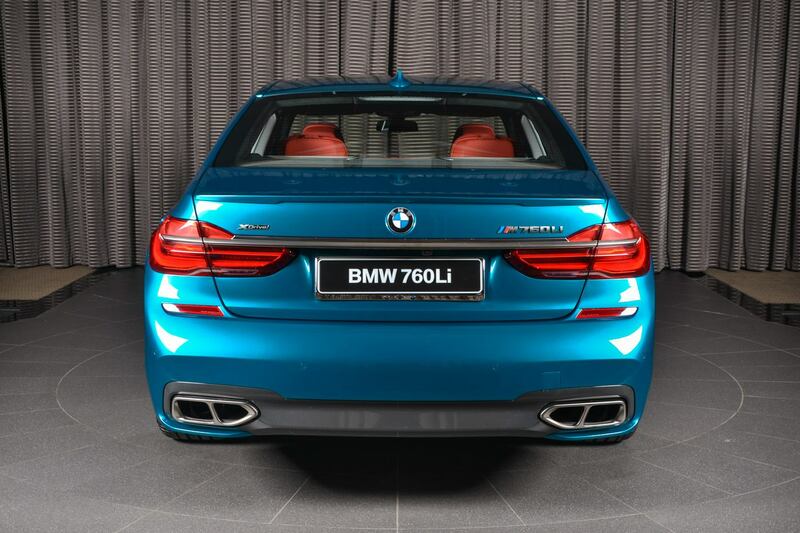 In the engine compartment, this M760Li remains stock, meaning that its 6.6-liter twin-turbo V12 puts out 600 PS (592 HP) and 800 Nm (590 lb-ft) of torque that are directed to the xDrive all-wheel drive system via an 8-speed auto transmission. 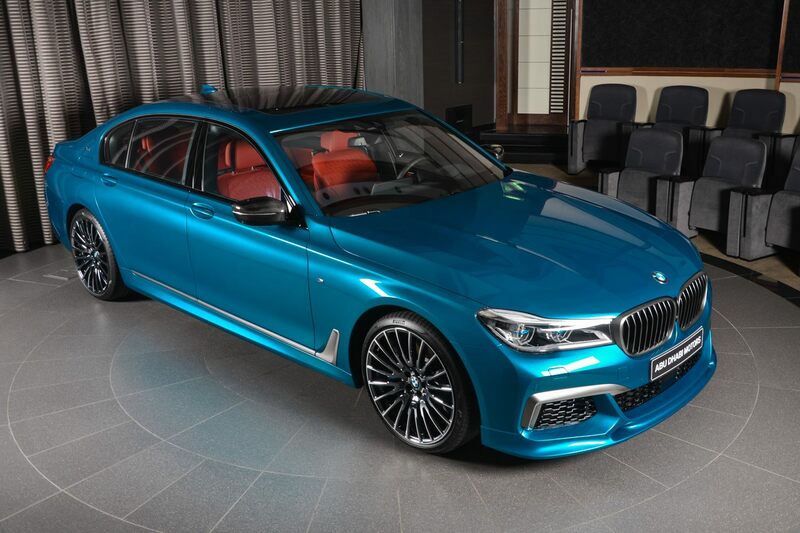 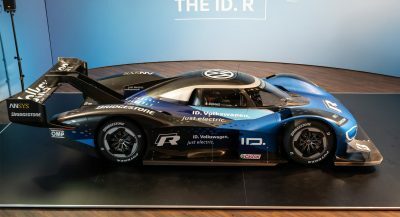 Despite being no lightweight, this luxo-barge needs just 3.9 seconds to accelerate from 0 to 100km/h (62mph) and maxes out at 250 km/h (155 mph). 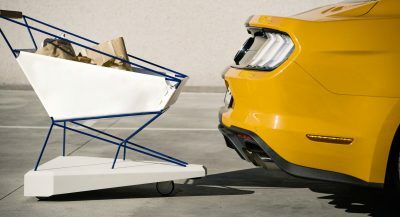 Way too much going on here, but pretty typical for this dealership. 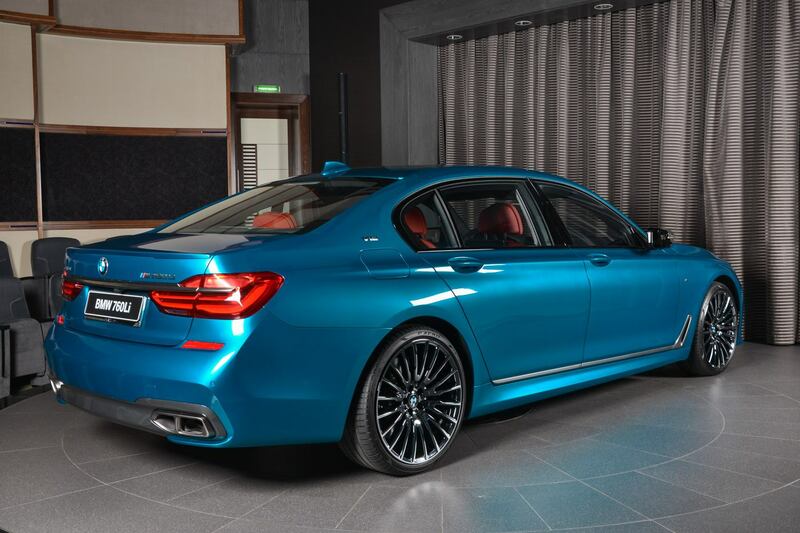 Either match the wheels to the silver trim around the car, or vice versa, and ditch the ridiculous red interior. 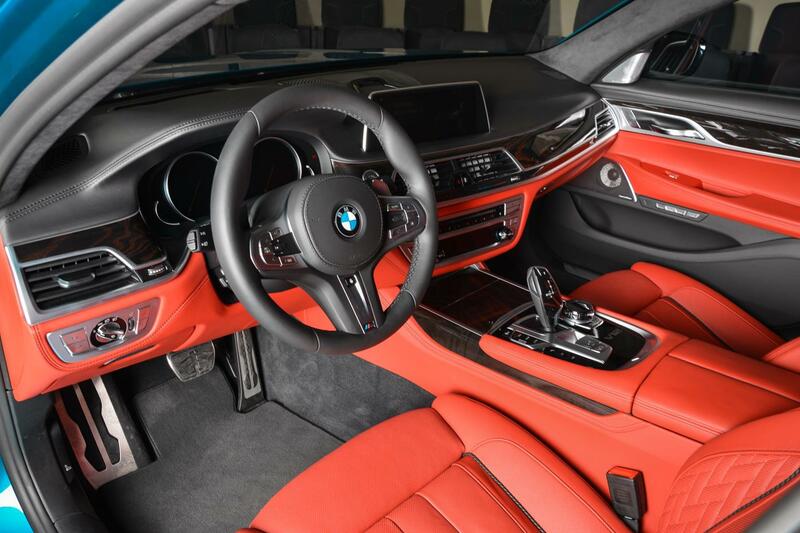 Edit: Just had a closer look at the interior, wow, this is such a mess! 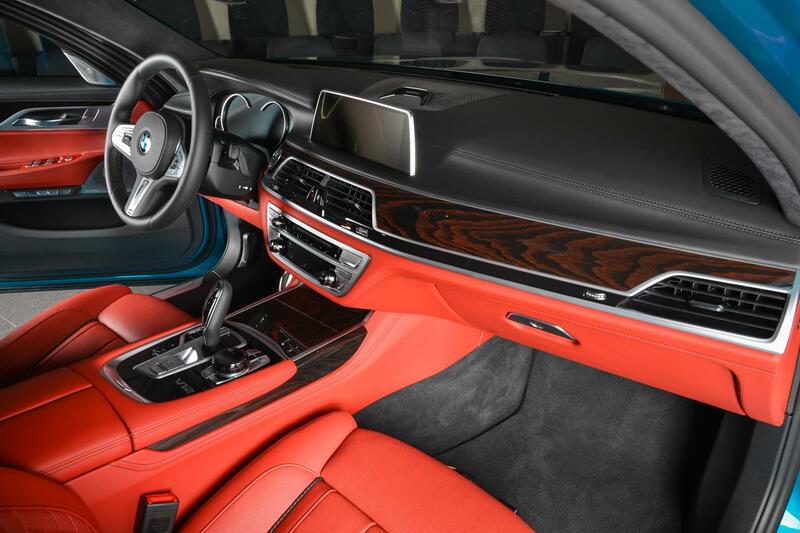 Bright red leather, dark grey floor, Silver highlights and BROWN Timber trim……BROWN!!!! 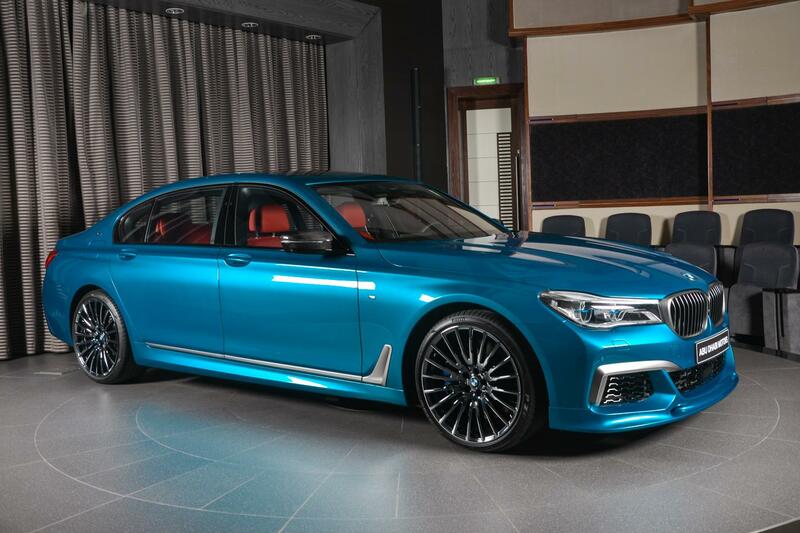 Looks dope, red interior is ok though . 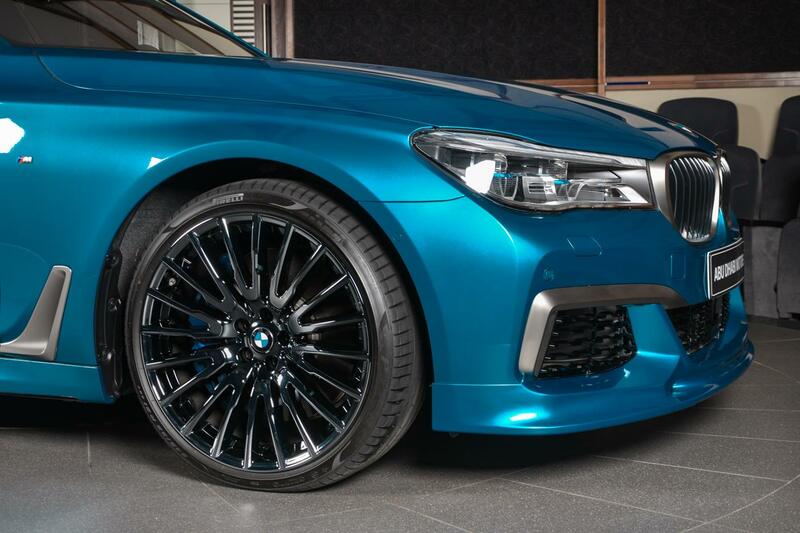 Exterior color and those wheels are the best combo I’ve seen from a factory BMW. 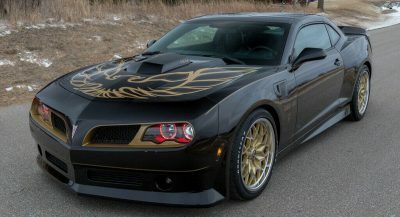 This whole car is a mess. 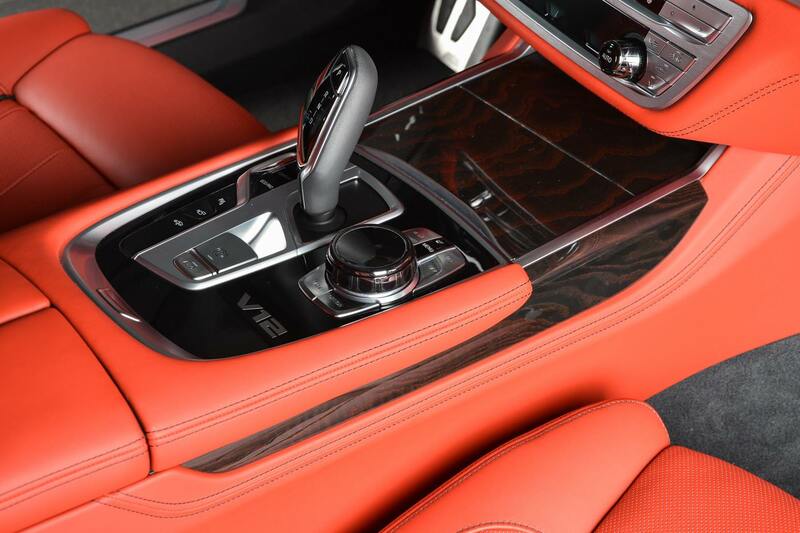 That interior/exterior color combination does not match well, and wood trim with red interior is appalling. 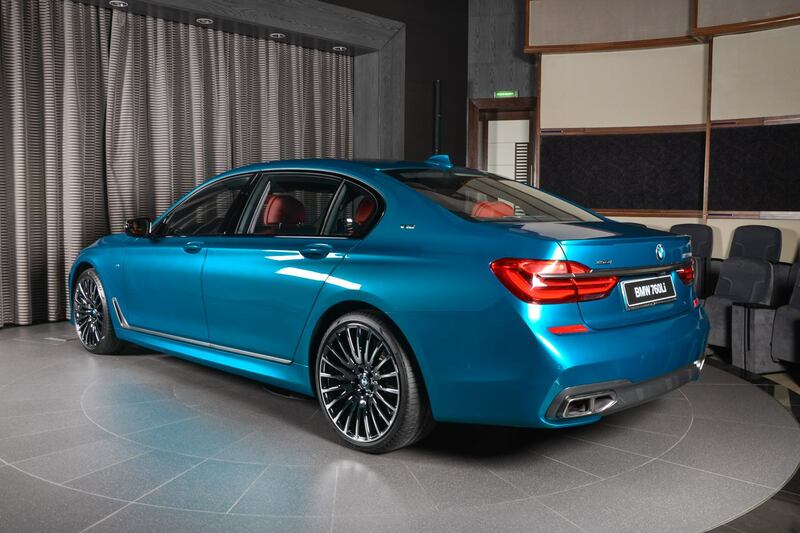 Exterior ok, but interior is ugly as hell. 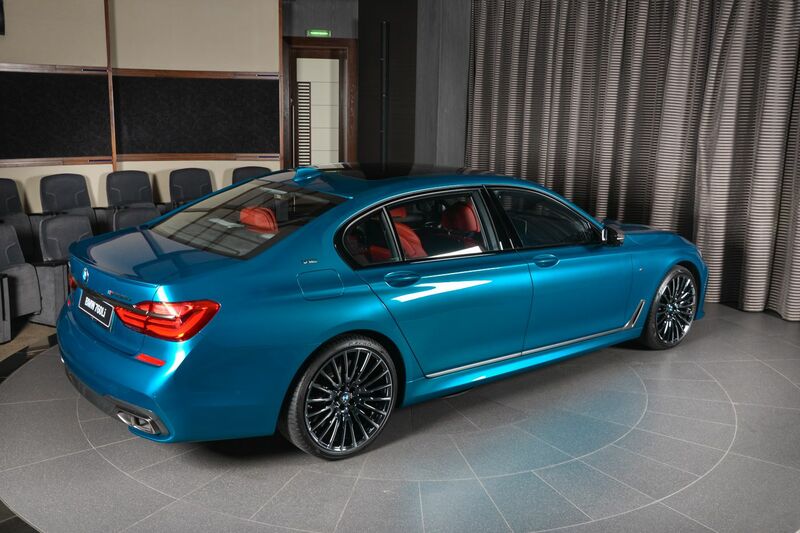 dat red interior……WEIRD. 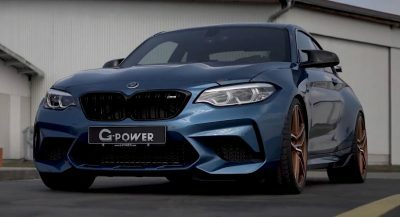 grey would be million times better.